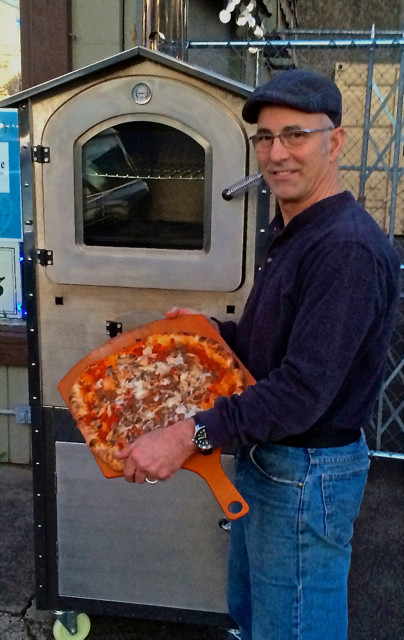 The SilverFire Wood or Biomass Fired Pizza/ Bread Dragon Oven! 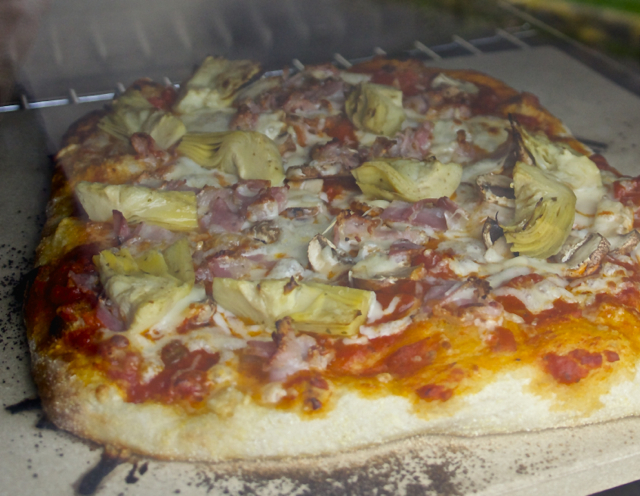 The World's Most Efficient Wood Fired Pizza Oven! Designed for Smoking & Roasting Meats & Cheeses Too! Summer 2018 Special Product Promotion: Free Lift Gate Curbside Shipping! Lift Gate Residential or Commercial Curbside Street Freight Truck Delivery Required! This fully assembled item requires a protective pallet crate freight quote, due to size and weight of product. 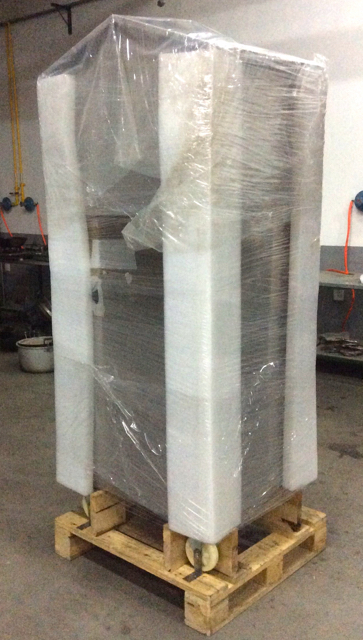 Just uncrate and ready to bake! Please provide full street address for discounted shipping quote to your doorstep. Item requires residential lift gate freight truck delivery, unless fork lift or loading dock available. 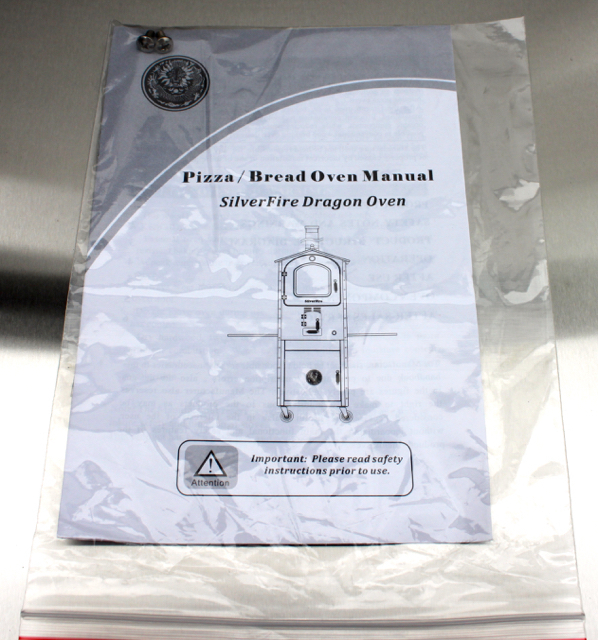 Save your pizza stones for bread baking in our Dragon Oven, not for pizza! Steel is superior to stone for superior results with pizza. 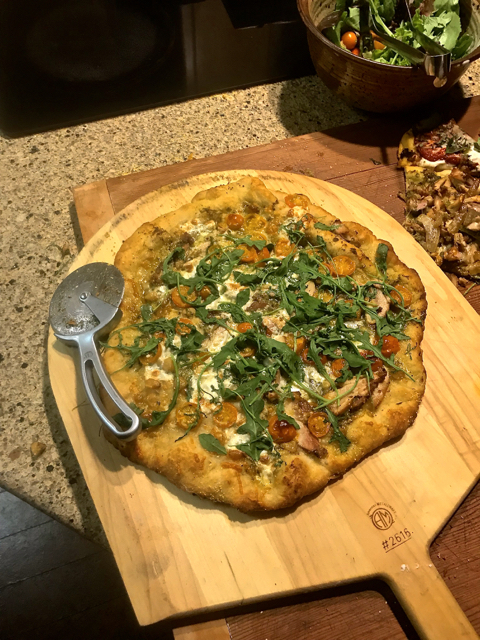 Stone for bread, steel for pizza! 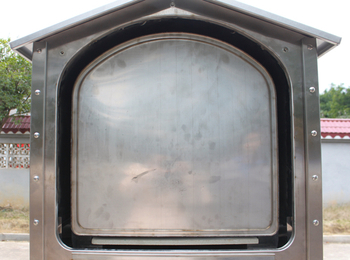 Our insulated Dragon oven has no cold side, The oven and oven door are both insulated (and the glass), resulting in uniform oven baking temperatures! 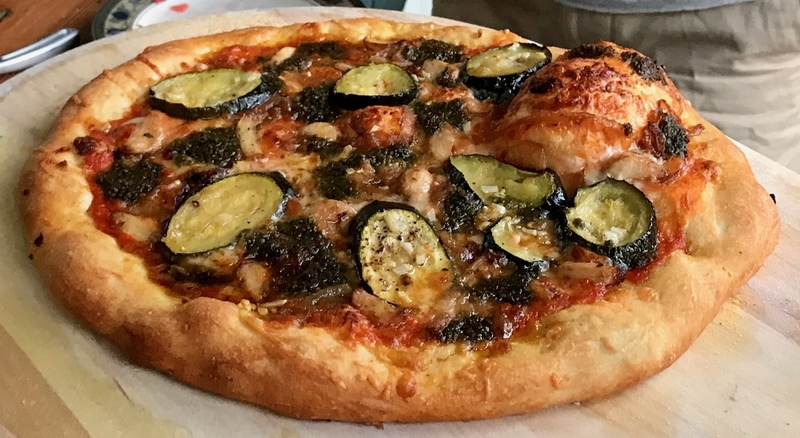 No rotation of pizza required! 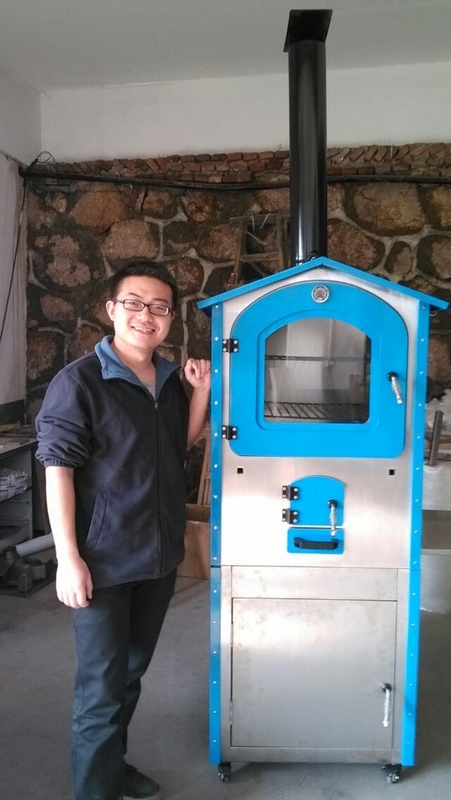 The Dragon oven is not only for baking. It is ideal for meat too. Here is a perfect 5 lb. Boneless Prime Rib in the Dragon Oven! 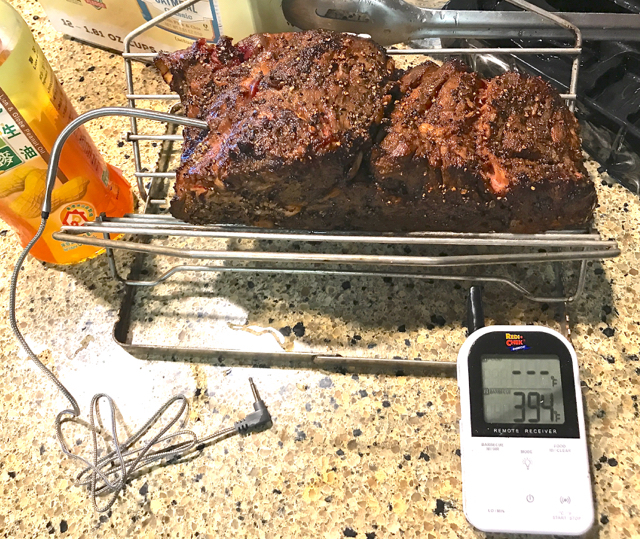 Combining our insulated oven with dual probe thermometer cooking insures precise control for meat, smoking, and baking! Scroll below for specific instruction! Third Party Review: Scott Hunt Engineer 775 & Melanie Hunt, Blueberry Hill Market Cafe, NY. 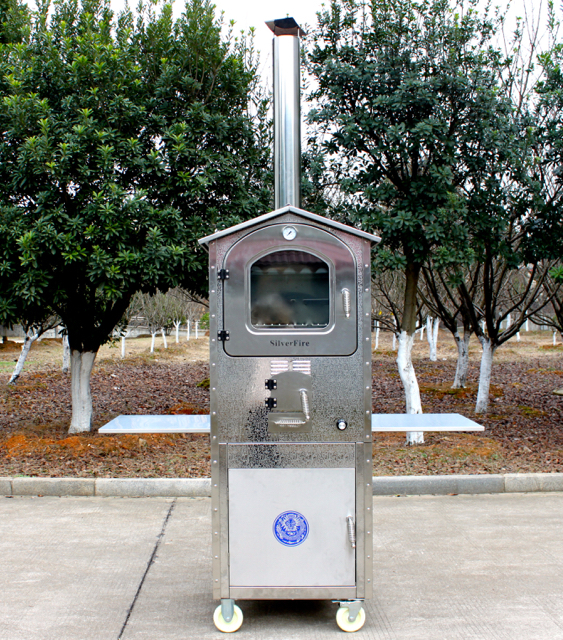 China is a leader in Biomass/Biogas Cooking technology due to historical cooking practices. This was the logical location to produce our most amazing SilverFire product to date. A special thank you to Zhang Yan, Wen Feng, Lifang Zeng, and our Xunda engineering partners. Without their cooperation this amazing product would have not been possible. China made historic sense to develop this project there too, in honor of the Chinese cultural influence in Mediterranean cuisine (ancient Asian noodles / Han Dynasty 220 BC) and Chinese pancakes (dough recipes cooked with infused ingredients, not made from batter like Western pancakes). The origin of spaghetti and pizza is poorly documented (Arab, Chinese, & Italian reported influences). The first documentation of pasta exports to Calabria, Italy (home of my ancestors) dates back to Padre Giovanni del Carpini traveling to Asia prior to Marco Polo travels later in the 13th Century. Historic cultural cuisine influenced those before us and the cooperation of all today is why the SilverFire Dragon Oven is a reality. Roasting the perfect Prime Rib in our Dragon Oven! Danny Gaulden, National Pit Master Champion states our Dragon Oven is the most precise cooking device he has ever used, even outperforming his commercial $25K pit BBQ! 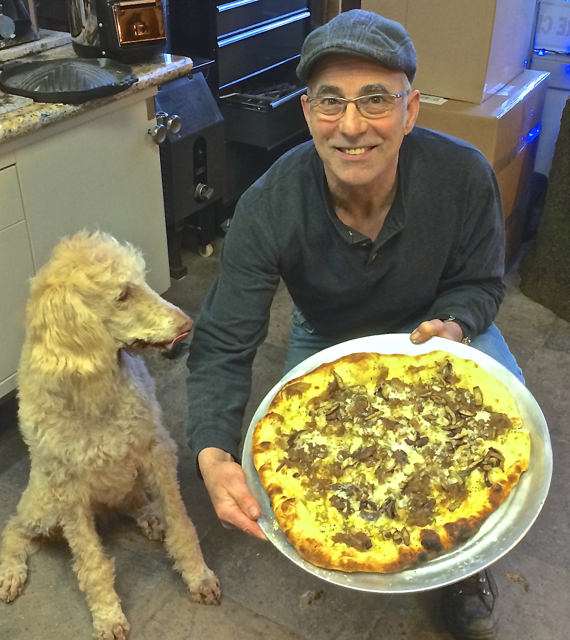 Danny introduced SilverFire to precise control, utilizing minimal fuel for remarkable outcomes in our insulated precision oven with meat. 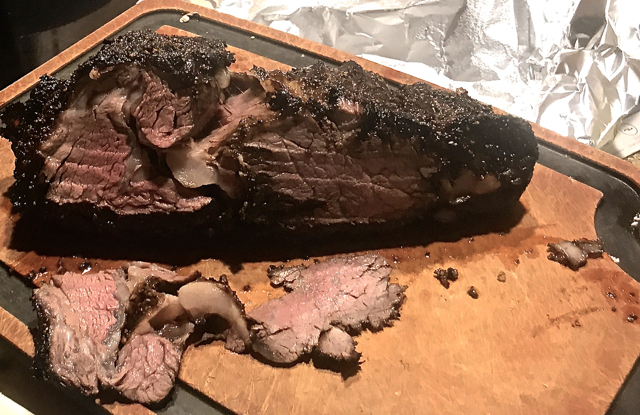 Here are the steps we used for a perfect 5 lb boneless prime rib, approximately 2 & 1/2 hour roasting time at 350 degrees (we shooting for medium rare, as per Danny's instruction). 1. Insert dual probe thermometer BBQ probe into oven, clip below baking rack on second shelf (oven center). Light oven with a couple pieces of hardwood and a few sticks of scrap wood and a few small pieces of hardwood lump charcoal on top of the wood. Minimal fuel. We used a home made tray made from a dog kennel door to slide fuel in to protect oven firebox floor grate and control fuel easier. 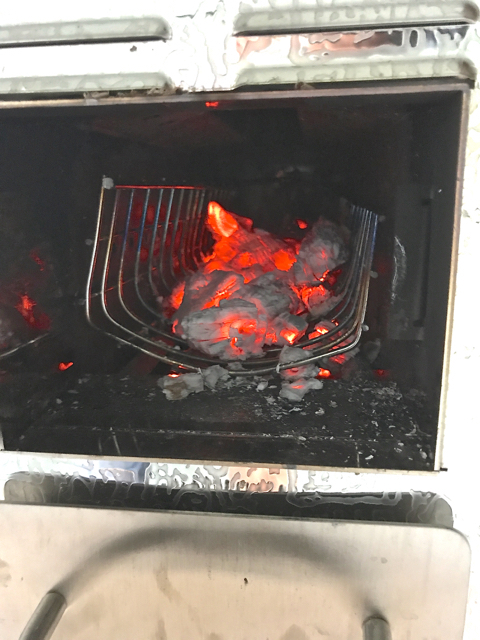 Charcoal burns hotter than wood on metal surfaces. We also like Danny's idea to slide mixed fuel contained in basket inside firebox. The little amount of lump charcoal really stabilize the wood fuel temperature. 2. 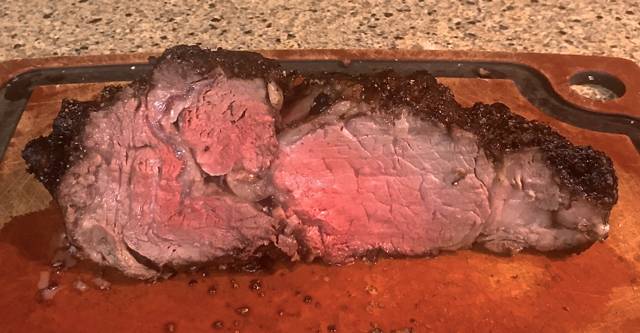 Brown seasoned boneless prime rib on all sides in cast iron skillet (Danny prefers our Survivor rocket stove for this step using approximately 4 or 5 little sticks). Insert internal meat probe into middle center of the boneless prime rib. 3. Set prime rib on V rack in preparation to place on Dragon Oven roasting pan. Check oven temperature. Simply fan door to drop temperature, or add minimal fuel to raise temperature to 350 degrees, very easy! 4. Connect dual probe meat thermometer to transmitter and shut oven door. Check time and dual probe thermometer temperatures at start. 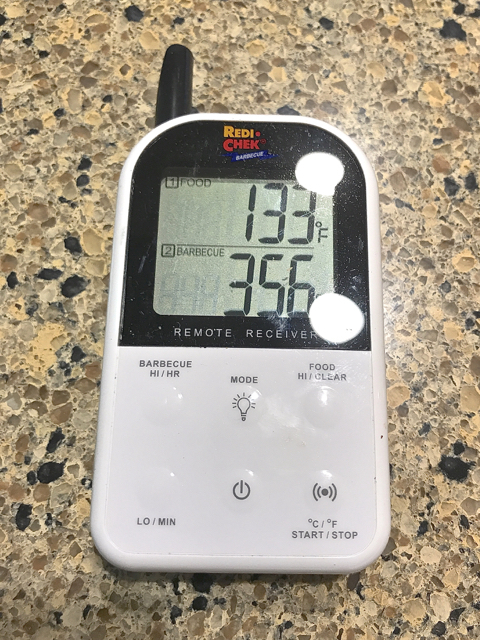 One probe measuring internal meat temperature (top reading) and the other is monitoring oven temperature (key for fuel control). The winless 2 probe transmitter is laying on Dragon Oven shelf outdoors in the preheated oven. I am reading temperatures above on the receiver, inside my home in the kitchen. 5. 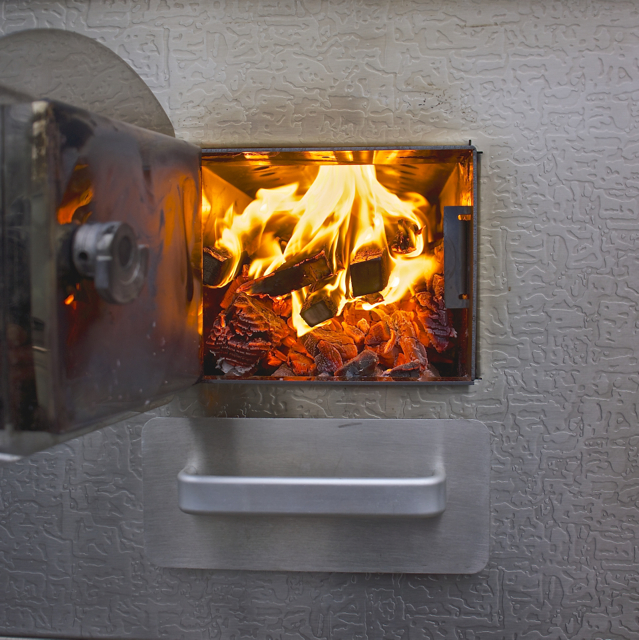 Any significant temperature drop greater than 25 degrees, check firebox to raise temperature. Add just a thin stick or two maximum, or a small piece or two of charcoal to maintain wood fuel. Note: This insulated oven holds temperature at very steady states, add minimal fuel, 1 - 2 sticks only to raise temperature! Here is what the embers will look like a couple hours later. 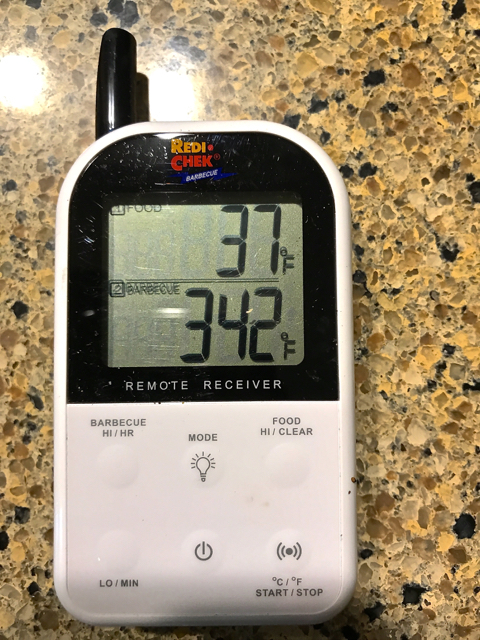 Internal meat temperature 104 degrees and we want to pull it at 135 for our medium rare goal. We added only 2 thin sticks, 1/2" - 3/4" diameter by 16" long. We have only a 1/2 hour left to go. 6. Checked thermometer (133 degrees) and confirmed only 2 degrees more to go, almost done! 7. 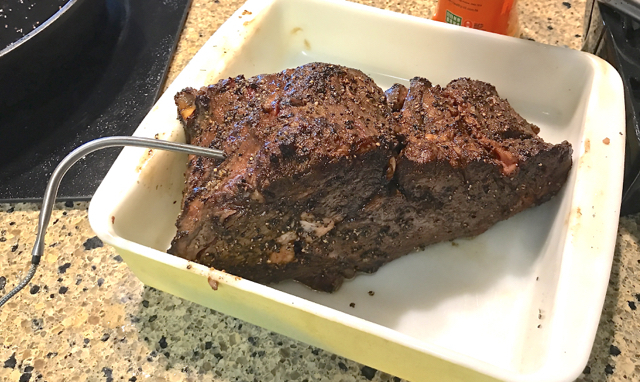 Pull Prime rib and rest under foil for 20 - 30 minutes and slice! Perfect! So Fun! 8. Ready to eat! Thanks Danny for the coaching and insuring our culinary success! Smoking: Checkout our re-useable and pre-filled smoking tubes list under our Accessories link. Smoking has never been easier. 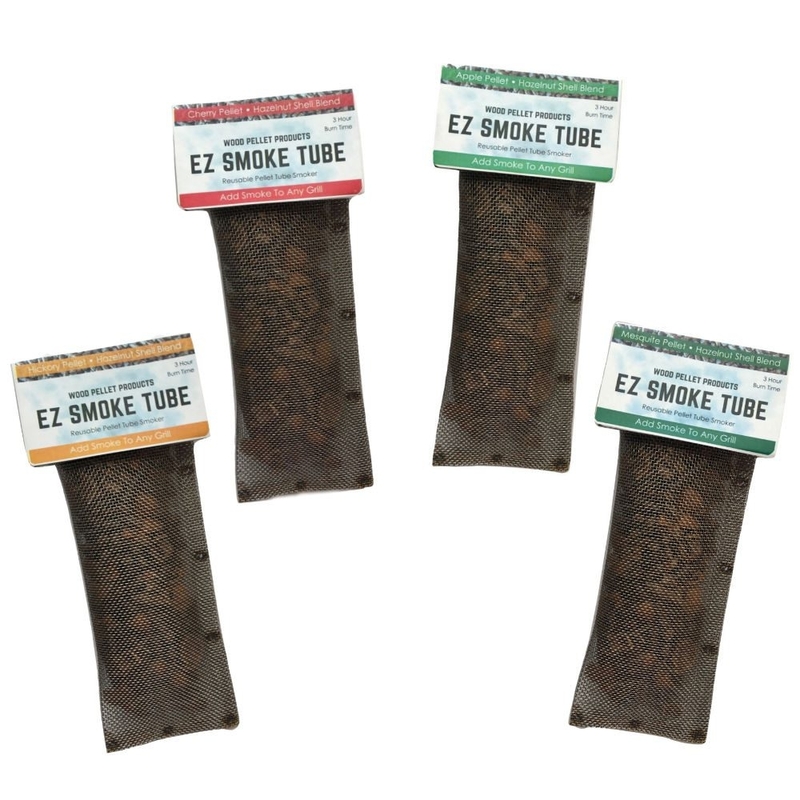 Just light the label on the tube of flavored hardwood pellets for 3 hours of gourmet smoke (Apple, Cherry, Hickory, or Mesquite!). The patent pending design ignites the gourmet hardwood smoking pellets. 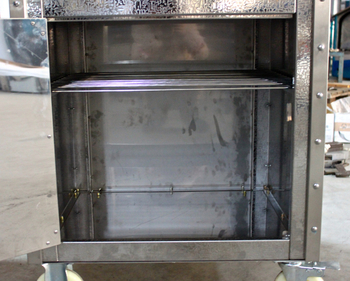 The amazing product has unique multiple level, shallow linear stainless steel firebox. 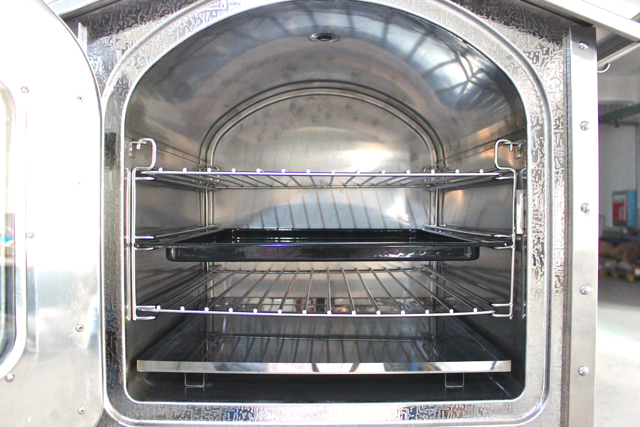 This unique shallow TLUD design has secondary combustion ports running the entire length of firebox from front to rear, resulting equal lateral baking temperature control from front to back, side to side, and top to bottom of oven compartment. Incredible progress continues in 2014, we abandoned our less efficient rocket combustion chamber for the multi-level gasifier firebox design! 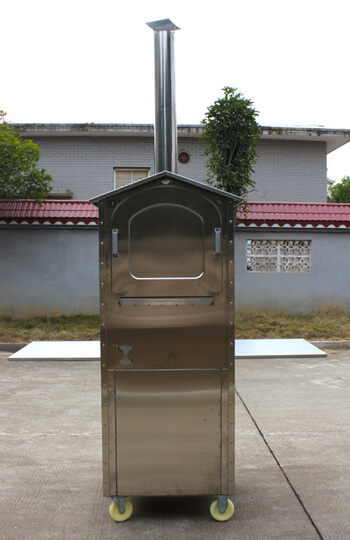 Our improved stainless steel linear gasification combustion chamber firebox design runs from front to back of oven in photo below (we are on our way!). 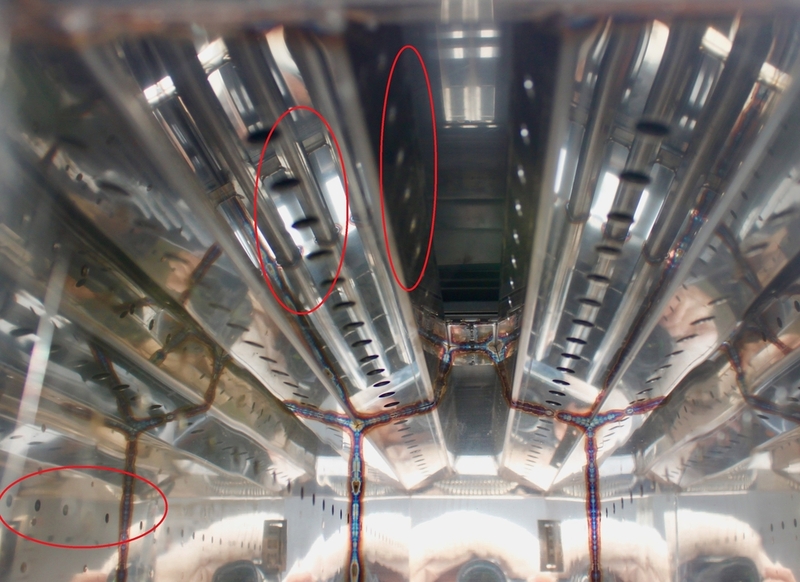 72 linear secondary ventilation gasifier ports running fore to aft at 3 independent levels, in addition to primary combustion ventilation below firebox grate to maximize combustion at four distinct levels! 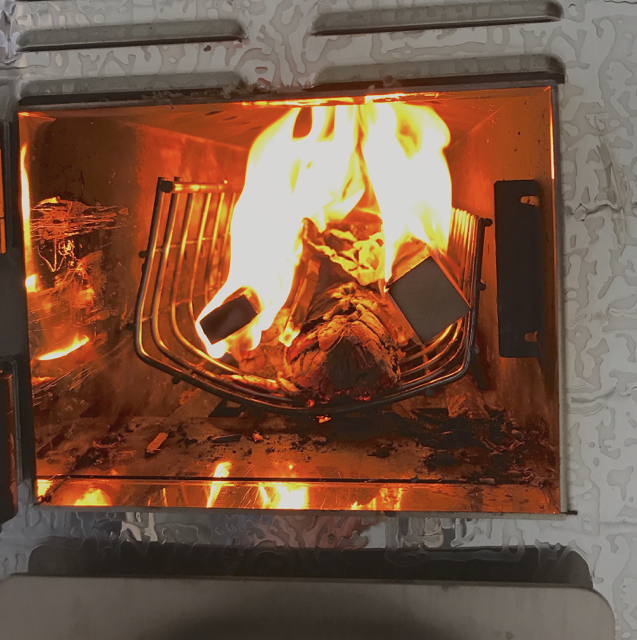 Primary air to ignite fuel is accomplished by simply pulling ash drawer out 1/3 and reducing primary air below firebox grate after fuel fully ignited. Secondary damper knob controls secondary ventilation by turning clockwise to restrict and counter clockwise for maximum ventilation. By turning damper to far right, secondary ventilation is decreased, extending duration of burn. 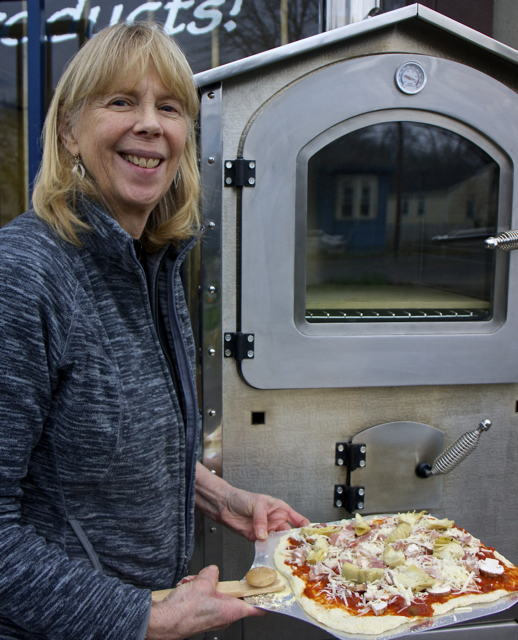 The SilverFire low fuel use, low emission Pizza / Bread oven only requires a small volume of twigs or construction debris to reach baking temperature in approximately 35 to 40 minutes. This is an industry first! 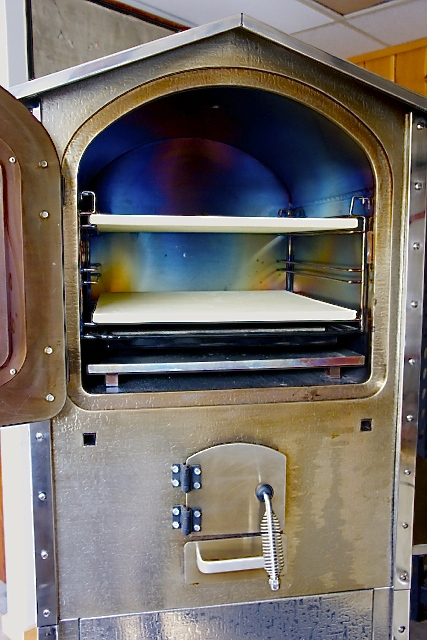 Most ovens require extensive pre-heating and fuel requirements. 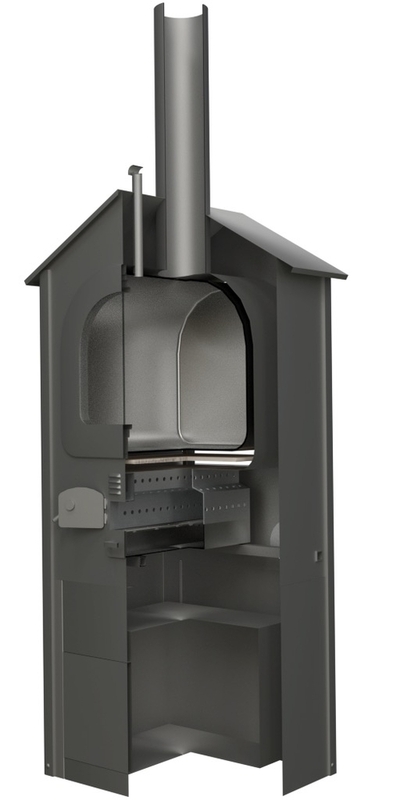 In addition, we incorporate an oven heat expansion / flavored wood smoking port in our white oven design (the small secondary mini chimney located in front of the primary chimney). 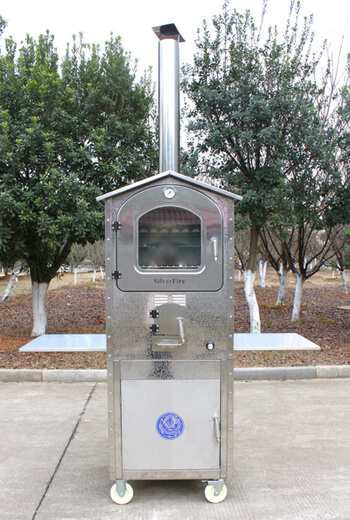 The small diameter port allows concentrated wood smoking to build and intensely flavor food inside of baking compartment, if desired. This feature serves as an unlimited flavored hardwood smoking options (centered in oven ceiling in photo below), for more or less concentrated wood flavoring. 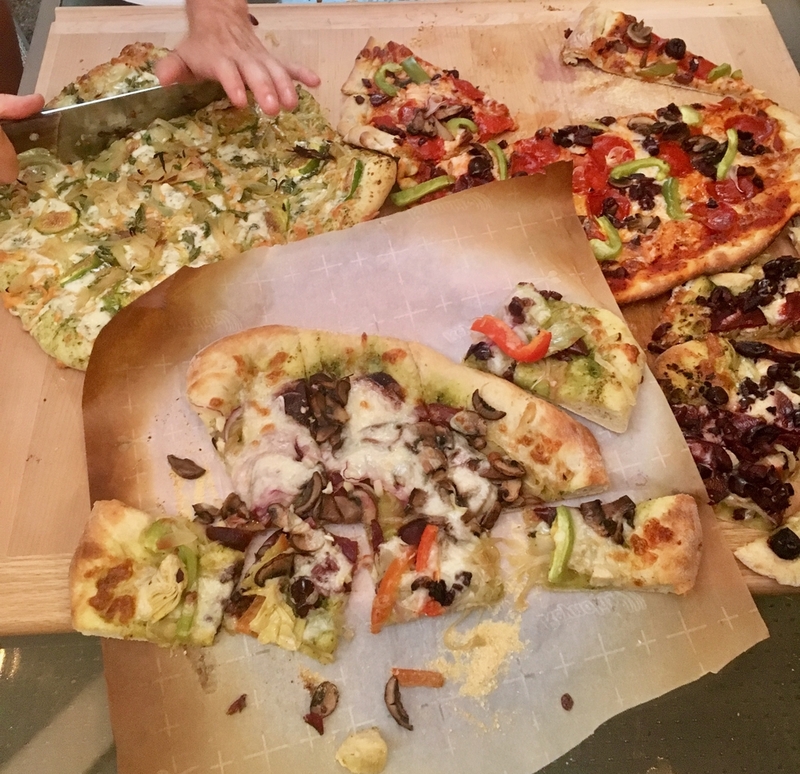 Our specialty flavored wood smoke port allows unlimited gourmet flavored wood smoke options (pizzas, bread, cheeses, grilled meats, poultry, roasted vegetables, etc...). 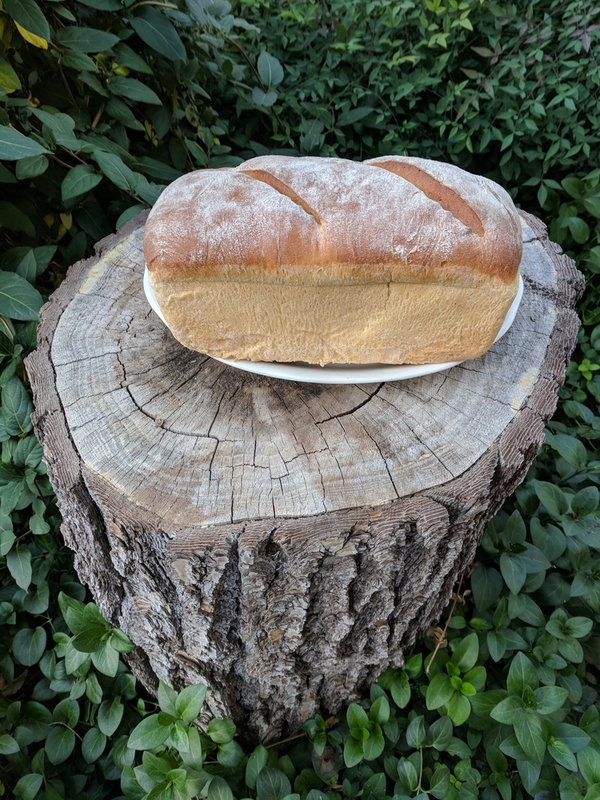 Simply add your tray of specialty flavored wood chips (Alder, Apple, Cherry, Hickory, Maple, Mesquite, Oak, Pecan, Whiskey & Bourbon Flavored Hardwood, etc...) to season your favorite baked food to your preference. 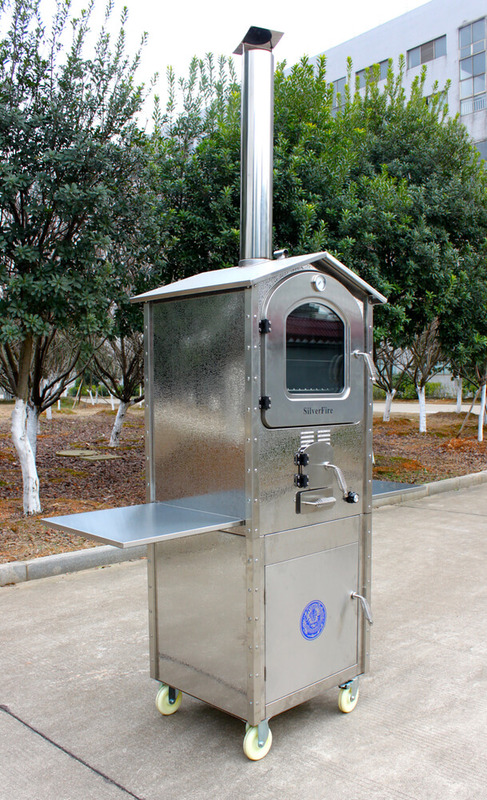 Some gourmet smoking food zealots may want to even insert burning wood smoker boxes into oven compartment. 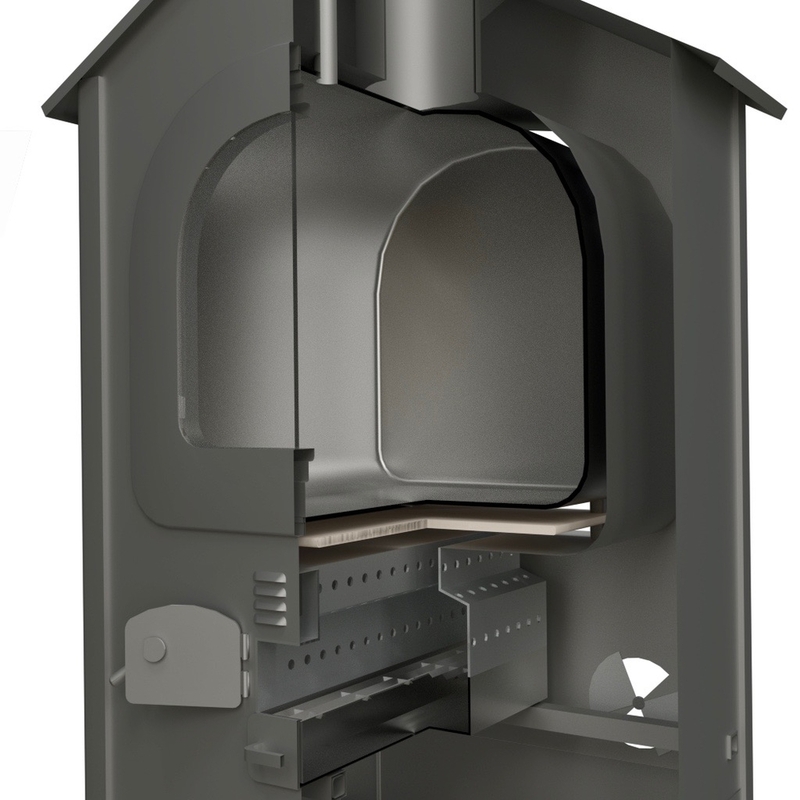 Open black oven firebox designs are inefficiently combusting flavored wood smoke that immediately exits directly up the chimney. Limiting gourmet flavored smoking options and wasting both money and fuel. 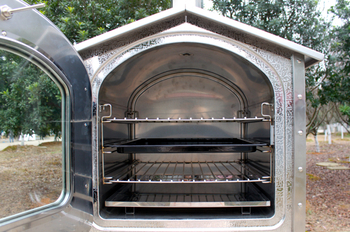 The SilverFire® Pizza / Bread Dragon is baking pizza and bread evenly. 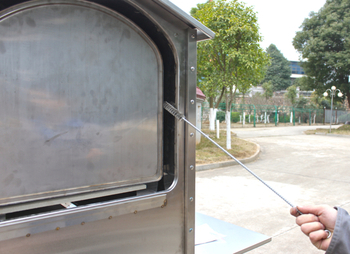 We are maximizing and precisely controlling the retained heat, inside the baking chamber. 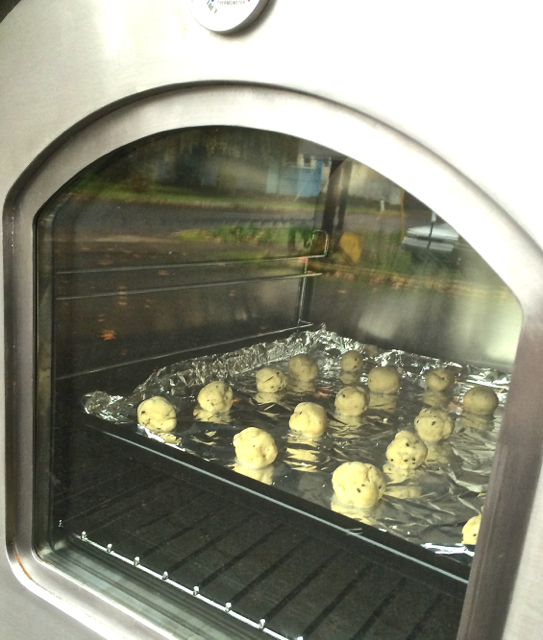 In 1st photo below confirming even oven baking tests, extensive testing continued to confirm efficient operation. We have applied clean burning secondary combustion technology and rapid heat transfer combustion principles. This results in fast heating, low emission, & low fuel use. Our design is intended for mass production and affordability. 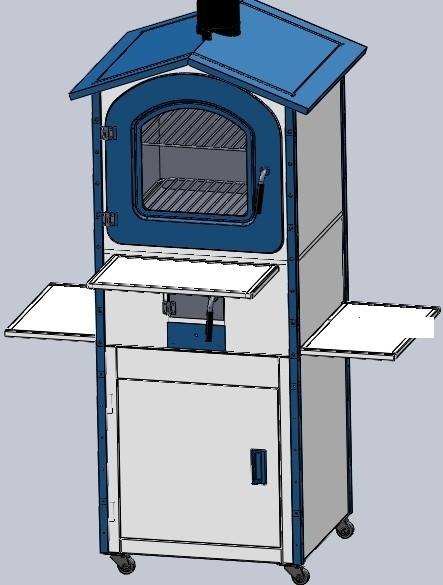 Our unique design is intended to out perform any other Pizza ovens for less $$$, while using less fuel, and producing lower emissions that ovens costing over 10 times the price. Baking Tests: Final Prototype 2014. 2017: Dragon Oven Availability! 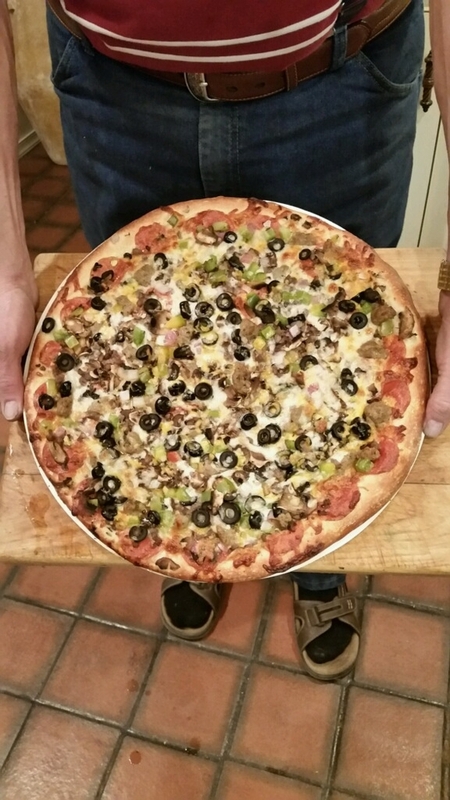 Happy Dragon Oven customer below showing off evenly cooked pizza! This customer has been amazed at how steady baking temperatures achieved and maintained with minimal fuel. Reports amazing results with meat roasts, vegetable dishes and other baked dishes with our amazing oven. He is baking low and slow, and hot and fast. This pyromaniac is a National Pit BBQ champion and is having a blast with our Dragon Oven! We can't wait to learn more! 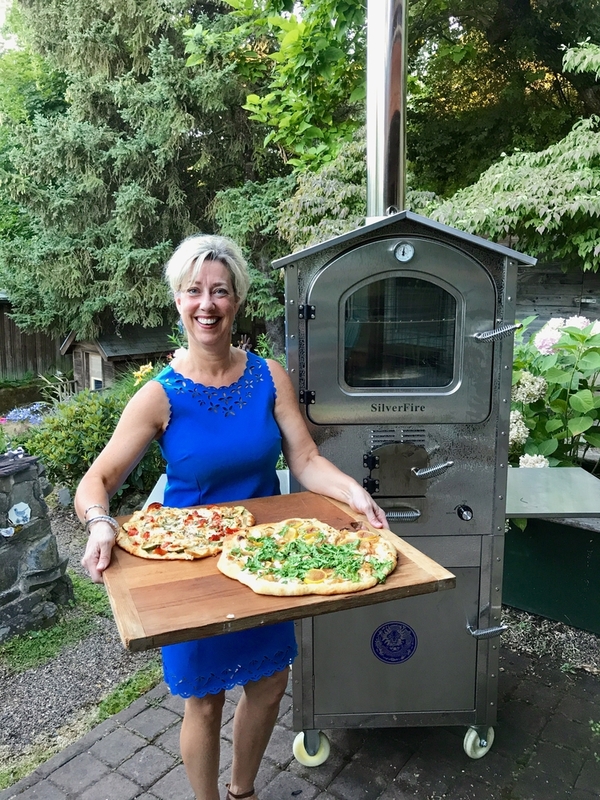 Each oven comes with 2 lateral mounted shelves that slide into position on the left and right sides of oven and can accommodate 18" / 46cm pizzas. 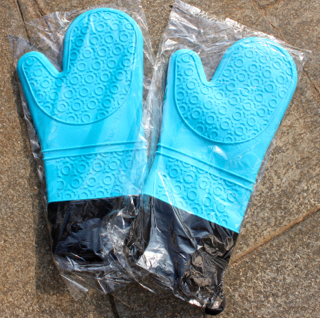 We also provide 2 oven mitts, soot gap cleaning brush (rear oven panel access) , oven drip pan, oven roasting pan, weather cover, manual, and baking racks with every oven order. 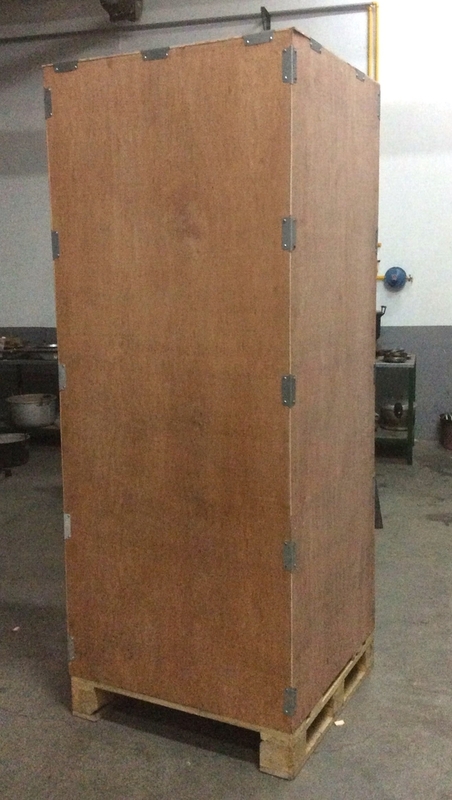 Shipping charges are applicable to this special protectively wrapped and crated product to your doorstep. Contact us for a freight quote for a lift gate delivery to your doorstep. 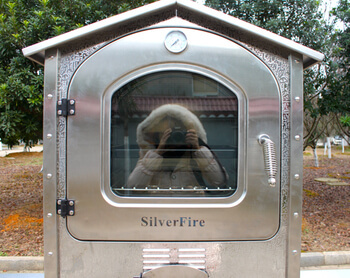 Note important SilverFire Dragon Oven handling tips at bottom of this page. Weight: 397 lbs / 180kg, easily handled on 4 solid locking casters! is the formed gable roof caved edges: 29 & 3/8" wide x 26" deep. The oven is going to easily travel through even most narrow man doors. We started this project in early 2012 prior to leaving StoveTec later at the end of that year. 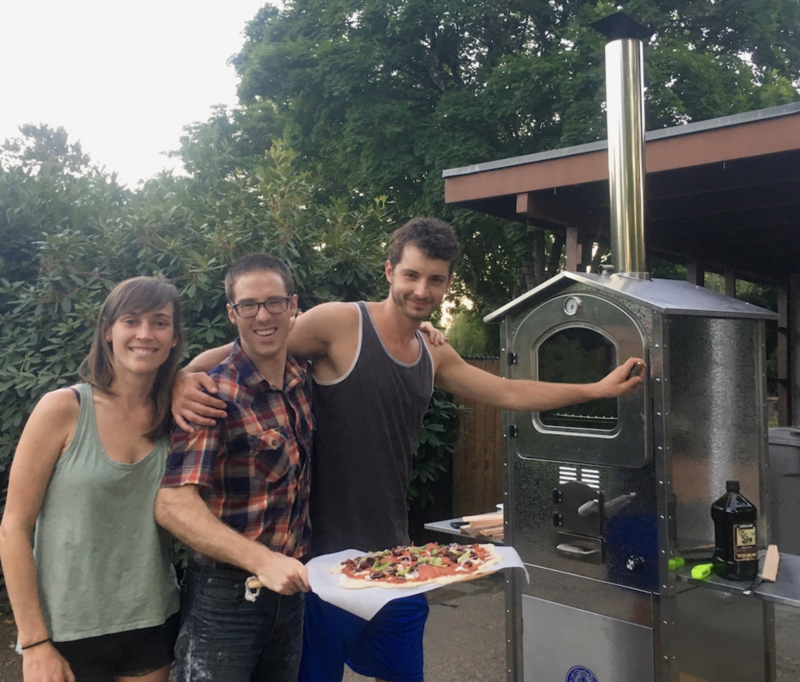 Our original pizza oven design was based on an Aprovecho rocket stove oven concept failure, and implementing a mild steel Aprovecho (ARC) / StoveTec combustion chamber. 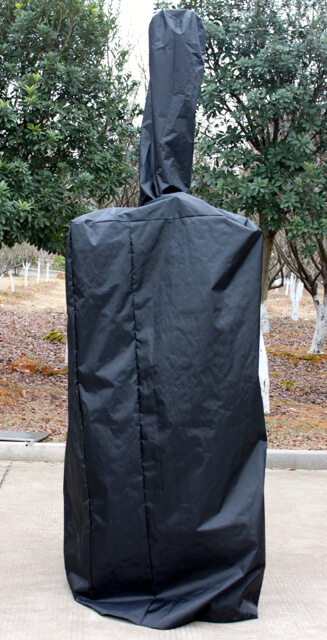 The original prototype quickly developed numerous quality and reliability issues. The design was inefficient, poorly conceived, and executed. 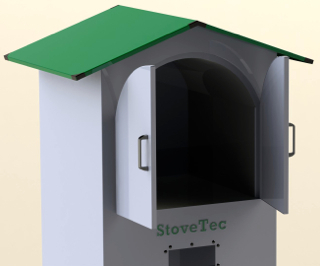 Our StoveTec drawings, construction material, and design input was ignored. 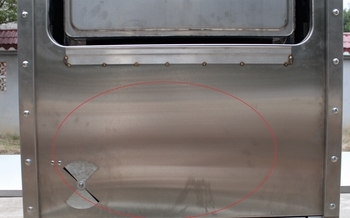 The ARC mild steel combustion chamber, protective mild steel oven plate, and oven walls all failed prematurely. This is one of the early CAD drawings below, provided to ARC / StoveTec, to develop this rocket oven project. We earmarked a special project fund at StoveTec in early 2012, for developing the initial prototype in photo below. After spending over $5k in welding and developmental costs, the burned out stove is what ARC delivered (see photo below). The ARC incompetent fabricators, led by Dean Still (Executive Director) were unable to produce our CAD drawing designs and the firebox was 50% burned out after only a handful of test firings. 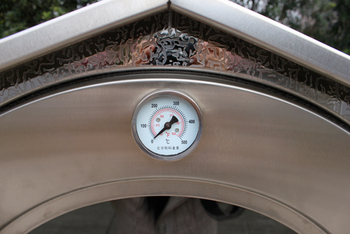 Unbelievable, but this ARC / StoveTec prototype was presented to us in Spring of 2012. Dean Still was jubilant about this design after our R&D spend. We were not. Note the refractory cement we had to spread on oven sides, we were trying to patch the mild steel oven walls, hot flue gas plate, and other ovens part from imploding. Not only did we commission an inefficient and unreliable prototype, Dean ignored our CAD drawings and presented us a gruesome looking oven in both in appearance and function. Totally unacceptable, our R&D funds wasted. We departed ARC / StoveTec at the end of 2012 to create SilverFire and move forward with more efficient and reliable SilverFire product designs. 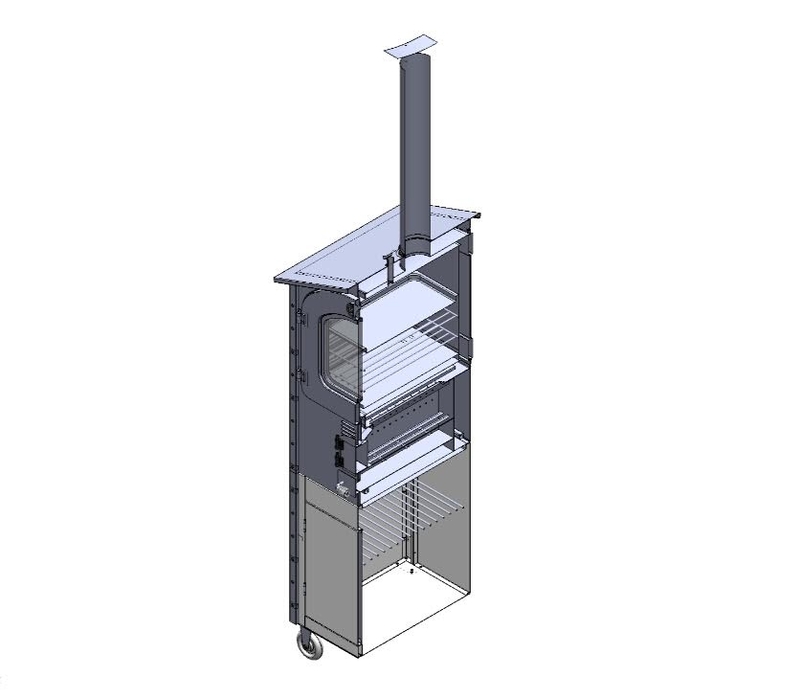 Our new SilverFire advanced CAD drawings were implemented (example below) and resulted in a reliable oven design. We implemented this design the following year at Xunda, this time with real combustion engineers with advanced secondary combustion technology. We abandoned the mild steel ARC / StoveTec rocket oven combustion chamber for a more efficient linear secondary gasification firebox, made from stainless steel with 3 levels of gasification ports (mid-wall, ceiling, and tertiary in the flue column). 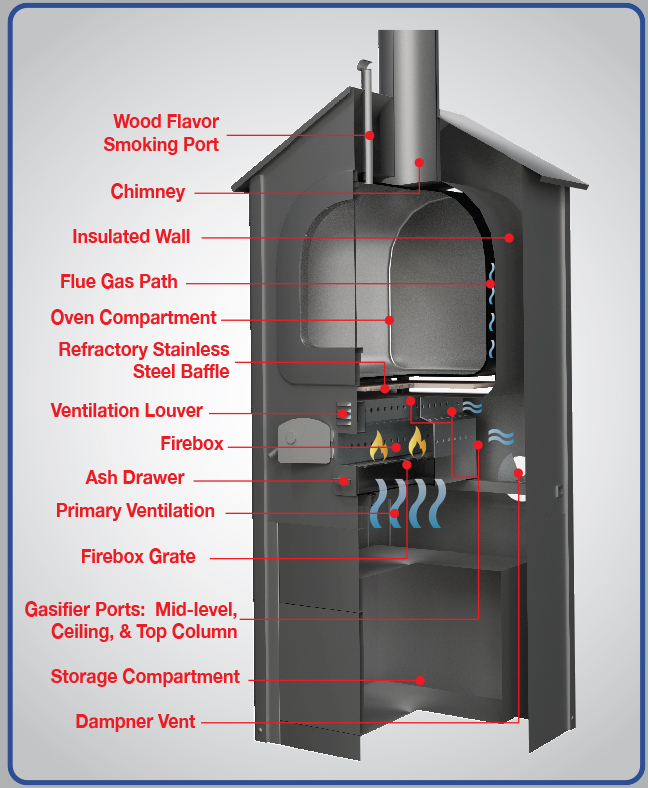 These advancements led to real time hot flue gas control and durability. Now, even oven temperatures were achieved, from front to back, side to side, and top to bottom of oven. Of course we have eliminated the use of mild steel in our new SilverFire product designs. We were now on the right path to an amazing product! 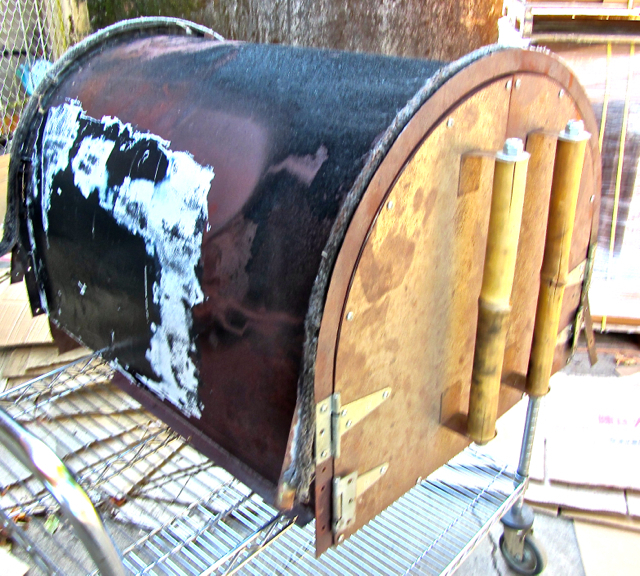 This is the 3rd prototype below, under development in late 2013, achieving real firebox efficiencies. At this stage we knew we really were getting closer to final production of an amazing product! Exciting stuff! More advancements, after multiple super heating tests and multiple test firings, our 5th Prototype moved forward in late 2014 (photo below)! Hammered embossed stainless steel exterior was chosen to complement the highly efficient combustion developments provided by Xunda engineers. Beauty and function! We have arrived, 4th quarter 2016! A really amazing product, proven, efficient and beautiful! Functional and reliable! This is our final production product below! 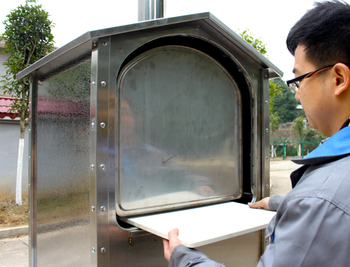 The SilverFire Dragon Oven must be strapped to fork lift or handled with care when lowered to ground! Minimum 2 handlers (Four Handlers Ideal). 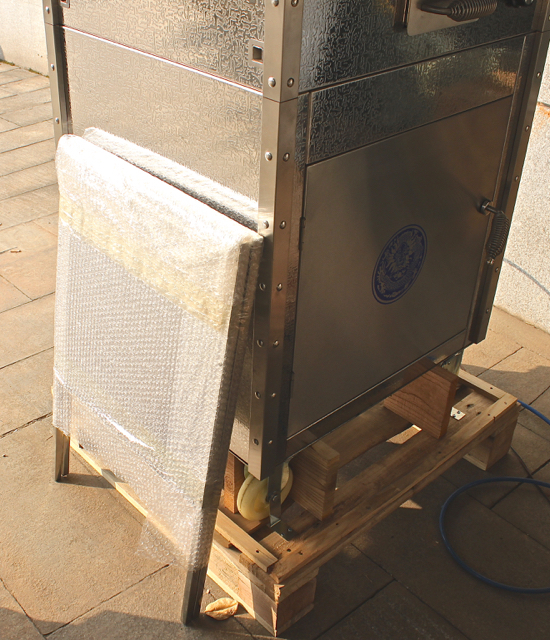 A cordless drill or screwdriver, and hammer is required to disassemble crate to access fully assembled Dragon Oven (minus Dragon Oven Chimney that is shipped independently in separate box. The cordless drill or screwdriver is required to remove four wheel support shipping elbow braces and the Hamer to knock out wooden shipping braces. Set Dragon Oven shelves shrink wrapped against back of oven onset aside. Remove wood braces and one wooden retaining strips to place ramp width of pallet, flat to roll SilverFire Dragon Oven down. If using plywood ramp use a minimum 3/4" thickness x 5 - 6 feet in length. Braced plywood ramp from below with 2 pieces of 2" x 4" lumber (one on edge and the other flat on run of ramp to support oven and handlers. We prefer 1" plywood, if available. Recommend a minimum of 2 strong movers to guide and prevent tipping of Dragon Oven (Four movers ideal) down ramp. Release Dragon Oven caster locks, and roll with care, keeping Dragon Oven centered on ramp during removal from shipping pallet. Take care removing protective shrink wrap too, the small wood smoking port may adhere to shrink wrap when removed from Dragon Oven roof. 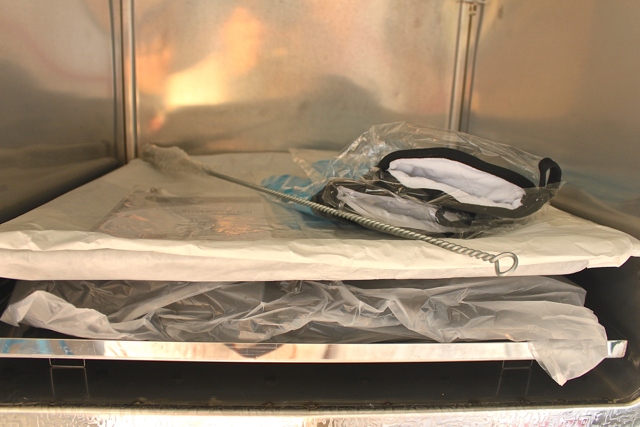 Rack supports, racks, oven pans, baking mitts, oven soot brush, and Dragon Oven cover are found in baking & storage compartments.